TERSA AQUA is a water quality protection solution that protects water from source to tap solution developed in Germany as a cost saving, healthy, clean water solution for Communities, Hotels, Estates, etc. Apart from assuring the water reaches the customer in the same quality as where Tersa Aqua is dosed, it brings cost savings on electricity consumption; savings on maintenance costs; extended lifespan of equipment such as pipes, heaters, chillers, etc. In municipalities and communities Tersa Aqua can be dosed directly at the water works or water districts entry points. 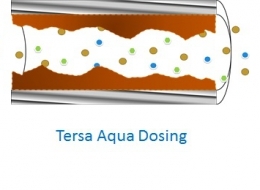 Tersa Aqua will assure the water reaches the customer in the same quality as it leaves the water works, passes the dosage point, and protect the customers equipment, causing lower replacement costs. this protects the environment through less waste of water consuming products. Tersa Aqua ads to savings of all users in the water supply chain and gives the local water department and government the most effective all around solution for protecting their citizens and the environment. Hotels have a extremely high usage of water both in their rooms but in particular in their service areas such as kitchens and laundry rooms. Tersa Aqua will assure the guests get good quality water. 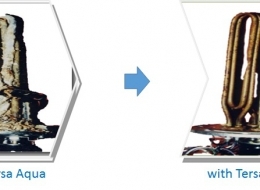 The lifespan of washing machines and air conditioning coolers are doubled via Tersa Aqua's scaling inhibition. The lifespan of piping systems are doubled due to the protective film Tersa Aqua forms. 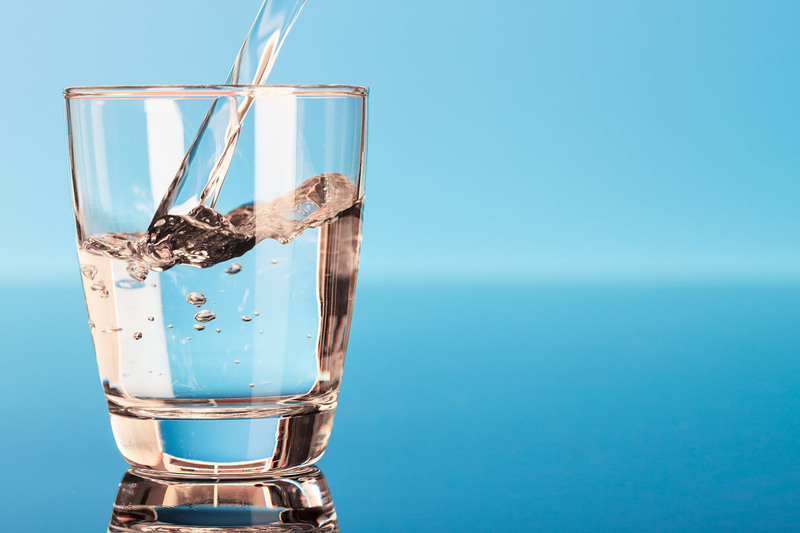 For a Hotels Tersa Aqua not only assures best water quality for its customers but also major cost savings on its commercial water applications. Tersa Aqua can be dosed at water entry points of individual estates or buildings. The water will continually reach all tenants in the same quality it was delivered by the local water authorities to the estate. In new estates Tersa Aqua will assure that the piping system never get clogged up and double the lifespan of all water system. In addition it will double the lifespan tentants water applications (wahsing machines, boilers, etc.) via its scaling inhibition qualities. 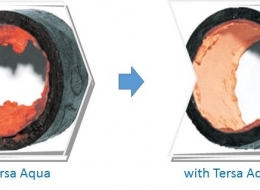 In existing estates Tersa Aqua will perform as in new estates in addition to repairing the existing pipe system, removing existing corrosion and microbal growth, filling pin holes & small cracks and doubling it's livespan. Tersa Aqua is the solution used countrywide in Germany for over 30 years. Tersa Aqua serves German commmunities some of the best water in the world and is a major contributor to environmental protection through refure reduction. Contact us to make your community have a sustainable, healthy water supply. Copyright © Vabella Environmental Partners Designed by Rebound.